Now we're officially into summer and we've got the weather on board, it's time to take the drinks outdoors. With all this summery weather, I’m thinking where to go for some al-fresco drinking? Gloucestershire is rammed with excellent country pubs and here are ten which have rather splendid gardens, too. Got your own favourite? Do share and I’ll jump in the convertible (I wish…) and go check it out. 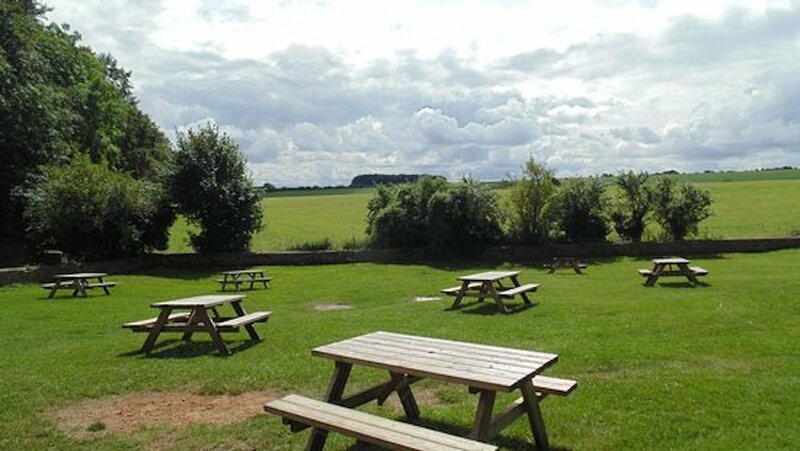 I always do a little leap of joy when the mudlets have an away match against Frampton as the cricket club is next to the pub and both overlook the largest, and frankly one of the most idyllic, village greens in the country, which also doubles as the cricket ground. I even took a catch once – with one hand, a large Pinot Grigio in the other. Poised on the edge of the Bathurst, where a youthful Prince William was once mistaken for a yob by the Earl when he was bombing around the estate in a beat-up car, the garden at The Tunnel House is mahoosive with a tasteful wooden children’s play area and countryside stretching as far as the eye can see. There’s water too – a canal going under the very attractive tunnel after which the pub is named –and if you can drag yourself away from the garden, you can walk to the source of the Thames in about half-an-hour. 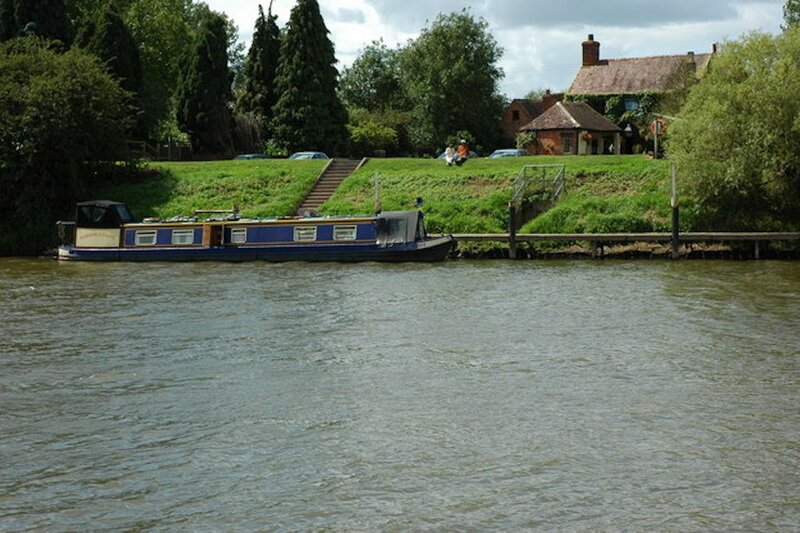 This quirky pub sits on the banks of the Severn and makes you feel like you’ve stepped back in time a couple of centuries. 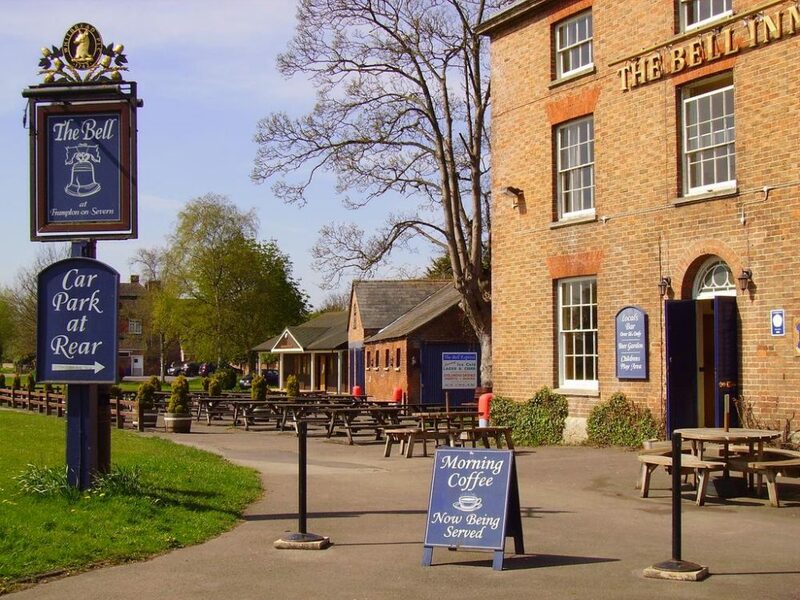 There’s a shabby chic garden area where they fire up the BBQ and picnic tables up on the bank overlooking the river which are the perfect spot to enjoy one of their legendary burgers. A popluar pitstop with cyclists, there are also good walking opportunities if you feel that way inclined. 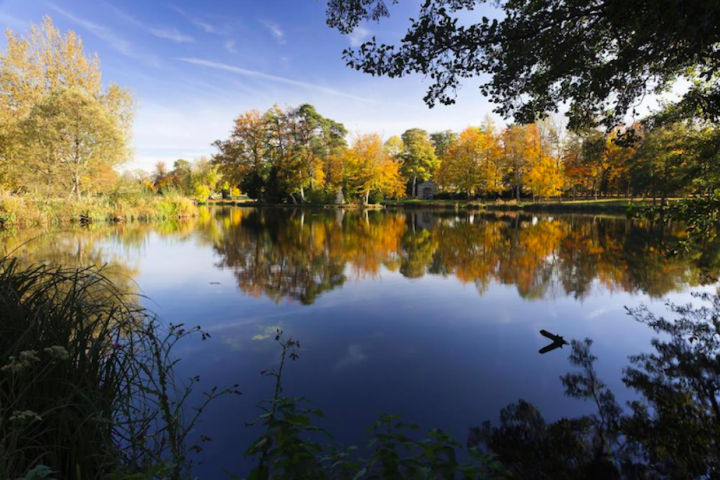 You’ll get one of the best views in the area from the Lamb’s garden, where you can look out over Toadsmoor Valley and among the trees spot the Neo-Gothic manor house Lypiatt Park, which was the home of the 20th-century expressionist English sculptor Lynn Chadwick. The BBQ sees a lot of action in the summer and there’s always a friendly, local crowd and warm, welcoming atmosphere. 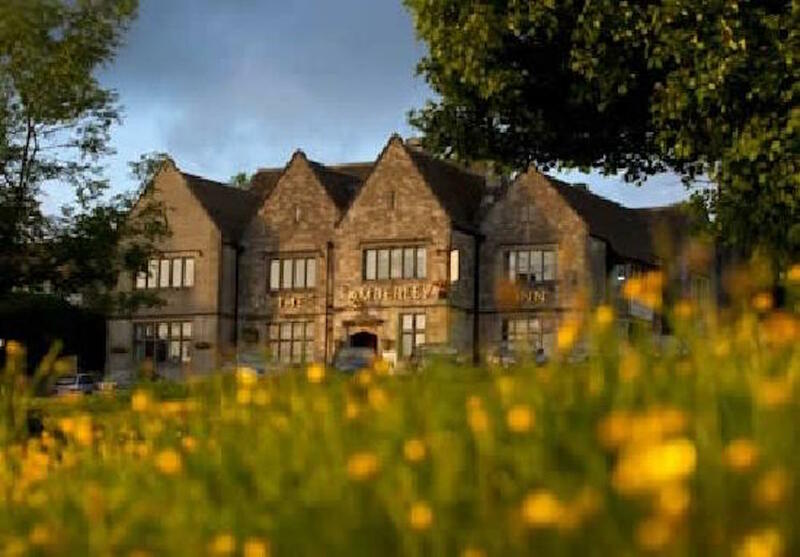 Located on the edge of the Worcestershire Gloucestershire border, The Mount Inn has to have one of the best pub garden views ever being on, er, a mount, and offering a panorama of the Vale of Evesham, the Malverns and the Black Mountains. There’s a gravelled court out back for playing boules and it’s great walking and riding country – there are stables in the village, Cotswold Riding, if you fancy saddling up and making a day of it. 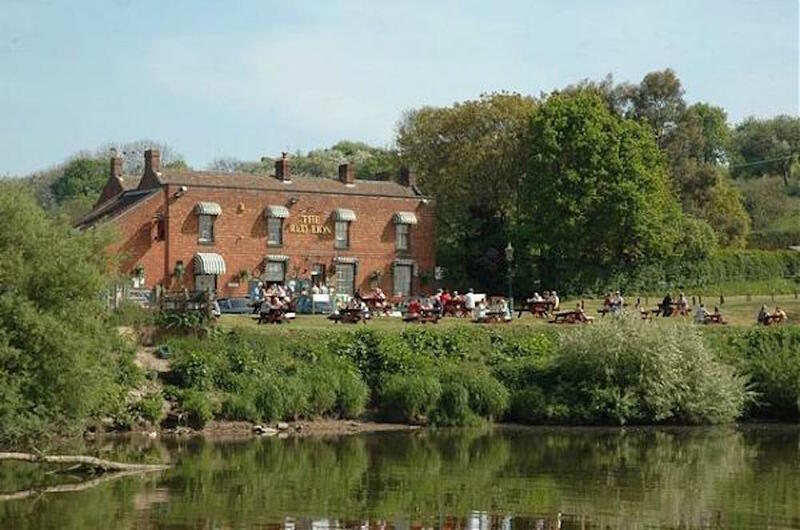 An iconic pub set on the one of the most beautiful stretches of the River Severn, The Red Lion has been a favourite stopping-off point since the 1800s. My grandmother used to take my dad here in the 1950s to see the sand martins and it’s still a good spot for twitchers. 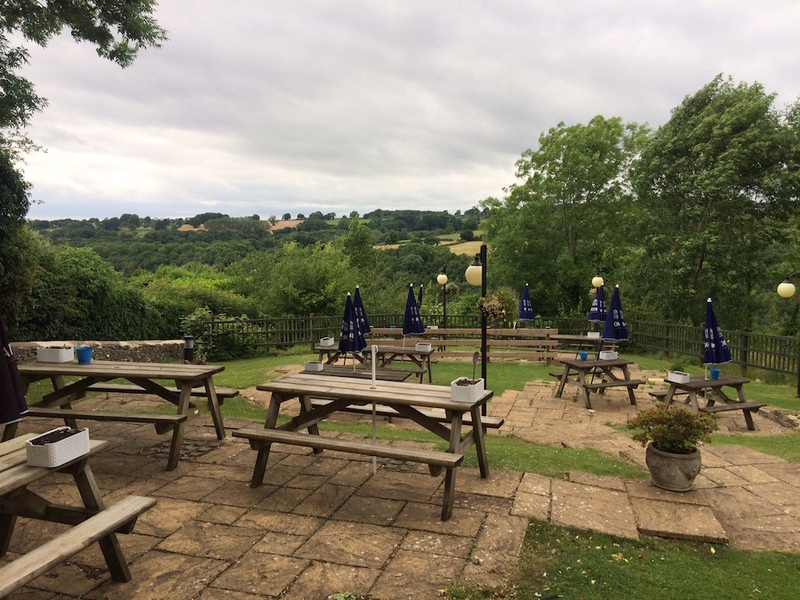 And real ale drinkers – there’s always Wye Valley Butty Bach on tap as well as rotating guest ales. Check out the website for its Summer of Music line-up with live acts throughout July and August. 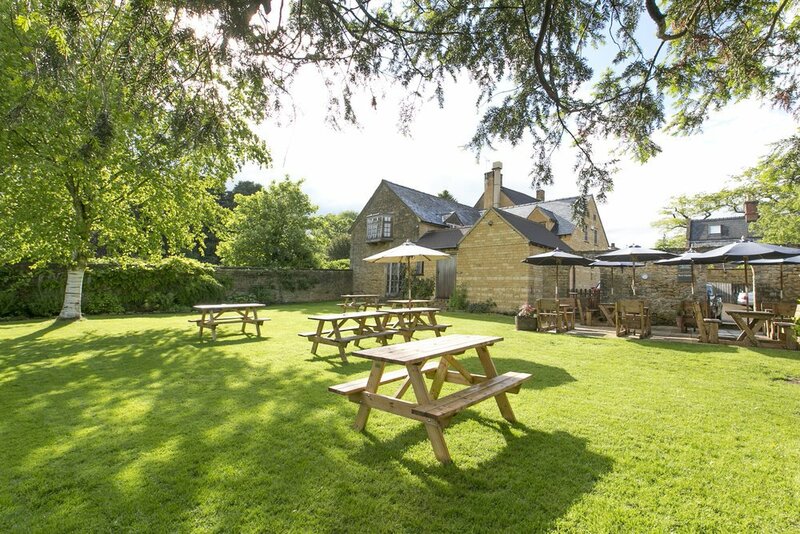 Located between Stroud and Cirencester, the garden at The Crown is nestled in a little bowl of idyllic Cotswold countryside catching the sun and the views in equal measure. It’s the perfect place to go if you’re feeling a bit frazzled as it’s the kind of place that dissolves stress in a nanosecond. And if you need to get out of the sun, the interior of the pub is dark, cool and atmospheric. 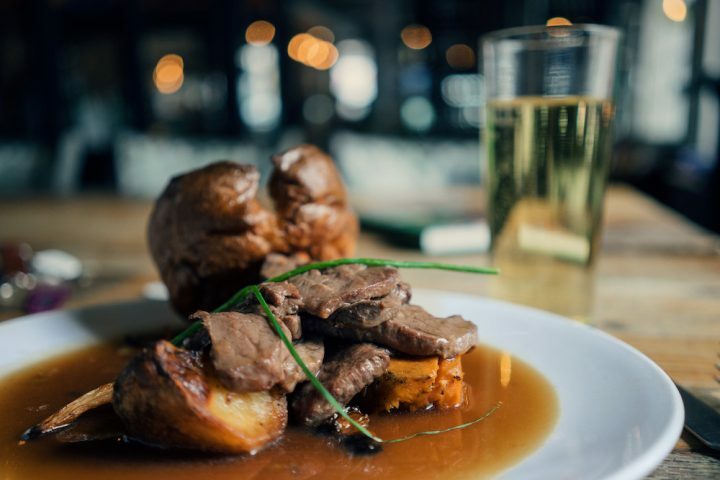 Come to The Ebrington Arms for a quintessential English experience drinking smooth ale brewed by the landlords in the tranquil walled garden in the picturesque village of Ebrington just a mile away from one of the Cotswolds prettiest towns, Chipping Campden. It’s all so utterly perfect here, you feel like you’re on a film set for a period drama, don’t you know! 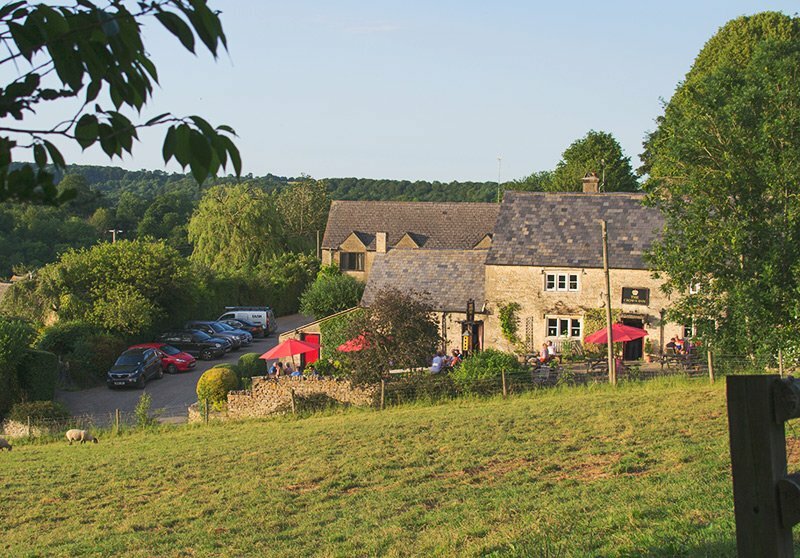 Located on the edge of Minchinhampton Common, this pub’s glorious location has great views of the common and its grazing cows who cause tailbacks when they nonchalantly cross the road, as well as the rolling Stroud Valleys. And it’s a Muddy Awards finalist to boot! What about the Black Horse at Amberley? Lovely views from the dining room and garden. Yes, that is fab too, I agree! 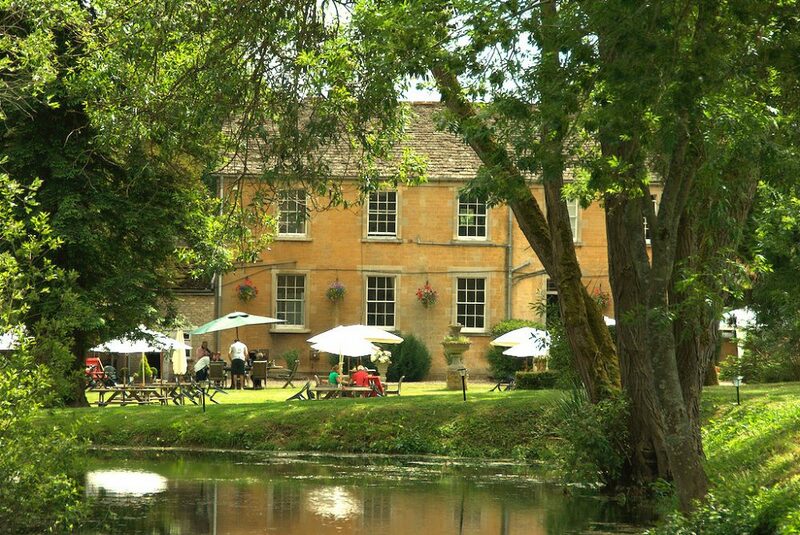 You have missed The Ragged Cot, probably the best kept garden in the Cotswolds! You’re right – that is a fab garden!